Much thinking in planning for health and well-being is guided by a focus on the fair distribution of ‘goods’, such as proximity to accessible green space or the provision of facilities like outdoor gym equipment, cycleways and playgrounds. Less attention is focused on the aspirations which people seek these ‘goods’ to help realise. Titled Responsive Environments: an outline of a method for determining context sensitive planning interventions to enhance health and wellbeing and authored by Eco-Health UCD team members Dr Mick Lennon, Dr Owen Douglas and Professor Mark Scott, this paper presents and discusses an exploratory approach aimed at helping planning support user desires. It does so by advancing a method informed through the integration of the ‘Capability Approach’ and ‘Affordances Theory’. The paper first identifies and summarises deficiencies in the prevailing approach to planning for health and well-being. The primary elements of the Capability Approach and Affordances Theory are then outlined and discussed as correctives to these deficiencies. 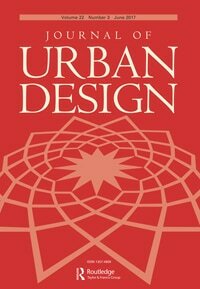 How these inform the development of a method for planning more responsive environments is outlined and a description of this method is provided. The advantages of this method are subsequently illustrated through a review of its application to three exploratory case studies - Ballybeg-Kilbarry, Waterford City; Banagher, Co. Offaly and Tallaght Town Centre in South Dublin. The paper closes with some summary conclusions on the benefit of this approach in the context of the critique provided at the beginning of the paper, with specific reference to how it may complement rather than challenge the prevailing approach to planning for health and well-being. The published paper is available here to read and download for 50 days. A pre-proof is also available on the Project Outputs page. Published by Routledge and available for pre-order here, Pathways to Well-Being in Design: Examples from the Arts, Humanities and the Built Environment recognises that the distinction between academics and practitioners often becomes blurred, where, when working together, a fusion of thoughts and ideas takes place and provides a powerful platform for dialogue. Providing new insights into the approaches and issues associated with promoting well-being, the book's multi-disciplinary coverage invites readers to consider these ideas within the framework of their own work. Edited by Richard Coles, Sandra Costa and Sharon Watson of Birmingham City University, the book's twelve chapters are authored by academics who are involved in practice or are working with practitioners and features real world case studies which cover a range of situations, circumstances, environments, and social groups. 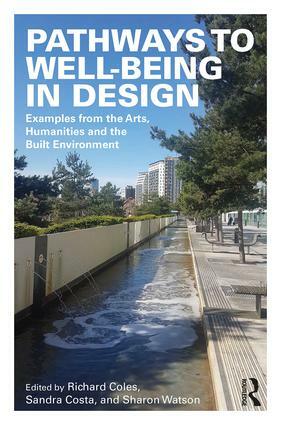 Pathways to Well-Being in Design responds to those wishing to enquire further about well-being taking the reader through different circumstances to consider approaches, discussing practice and theory, real world and virtual world considerations. 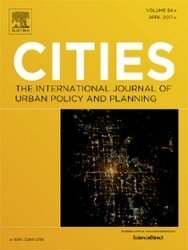 Chapter 3, 'Green Space and Urban Greening Benefits for Health and Well-being Across the Life-Course: A Pathway for the Operationalisation of the Green Infrastructure Approach' is co-authored by UCD Eco-Health team members Owen Douglas, Mark Scott and Mick Lennon and is a direct output of WP 1 of the Eco-Health project. On April 17th last, Dr Owen Douglas of the Eco-Health team addressed the membership of the Offaly Public Participation Network at their annual Plenary meeting. 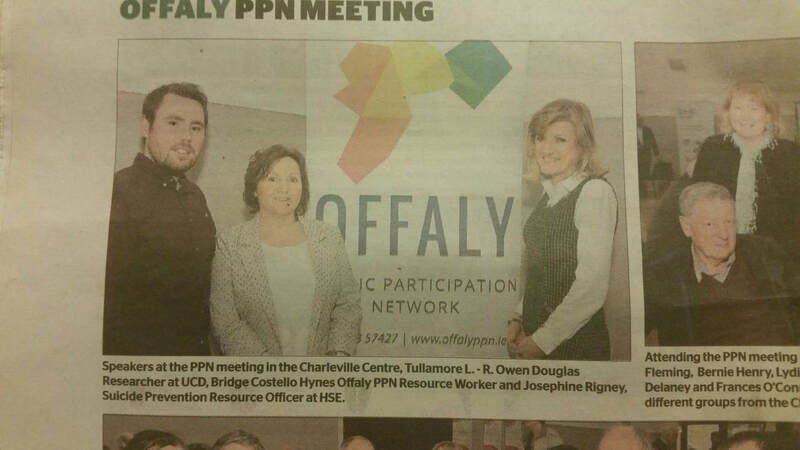 Chaired by Bridie Costello Hynes, Offaly PPN Resource Worker, the primary purpose of the meeting was to elect members to the Strategic Policy Committees and other Boards and Committees. Dr Douglas's talk was titled "Using citizen science to inform the planning and design of outdoor spaces for health and well-being in Co. Offaly". In his address, Dr Douglas discussed the scientific evidence linking environment and population health and well-being with a particular focus of the benefits of 'environmental goods' such as green spaces. He outlined how conscious design of the public realm can supply greater opportunities for physical activity and 'restorative environments' for mental health and well-being. Dr Douglas presented results from field research undertaken in the the town of Banagher and the village of Daingean, Co Offaly. The research included a household survey in both locations last summer and a 'pop-up' workshop in Banagher in March. The findings identified green infrastructures such as linked green spaces and well-designed looped walking routes in and around towns and villages as key interventions which can potentially influence how locals use their local environment. Throughout his talk, Dr Douglas emphasised citizen engagement as vital for planning and designing places and spaces that entice residents to get out, get active, socialise and relax in their local environment. The second speaker was Josephine Rigney, Suicide Prevention Officer with the HSE who also spoke about the influence of the environment on mental health and the need for joined-up thinking for improving health and well-being in Co. Offaly. 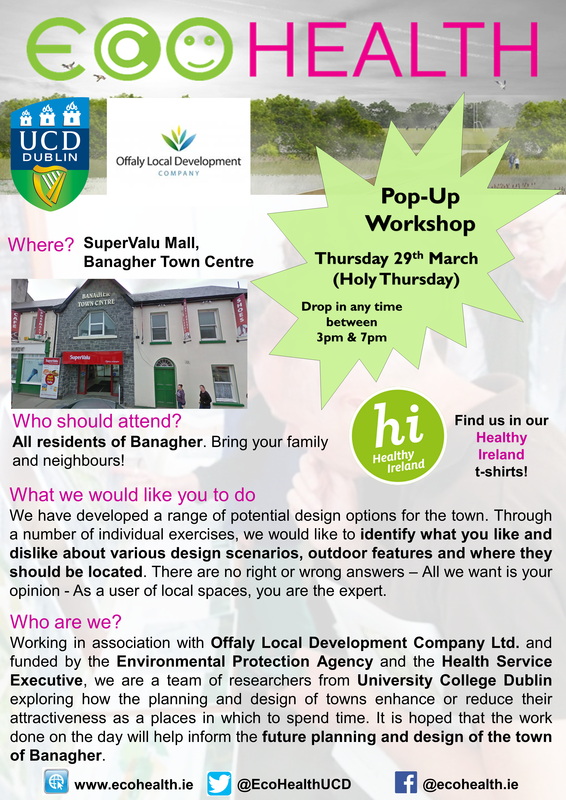 Following on from our very successful household survey in the town last summer, we would like to invite all residents of Banagher, County Offaly to participate in our drop-in pop-up workshop on Thursday 29th March (Holy Thursday). With almost 130 Banagher households completing the survey last summer, we learned a lot about key issues affecting residents, particularly in terms of the public realm and opportunities for walking, cycling and recreation. Through a number of individual exercises developed based on the survey results, we would now like to further explore the kinds of outdoor features residents like and dislike and where they should be located. As part of this we have used the survey results to develop a range of potential design options for the town on which we would like to get feedback from local residents - the real experts! It is hoped that the work done on the day will help inform the future planning, design and development of the town of Banagher. With the kind support of the Offaly Local Development Company Ltd., Crank House, Banagher and SuperValu Banagher we will be located in the SuperValu Mall in Banagher Town Centre between 3pm and 7pm. Please drop in for 20-30 minutes and have your say! 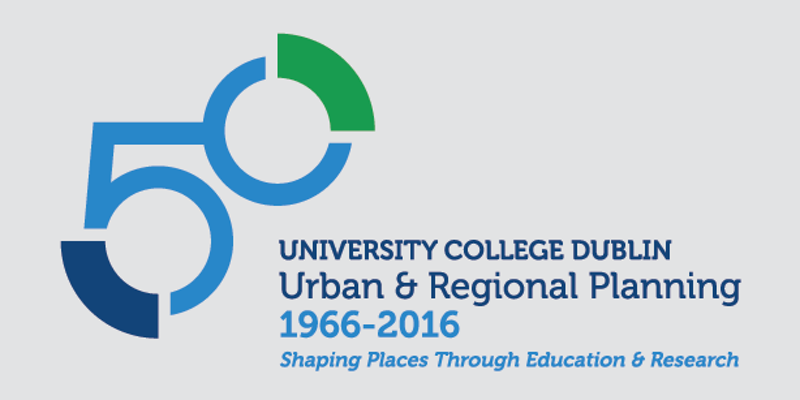 ​This academic year sees UCD Planning celebrate its 50th anniversary. UCD planning has created a long legacy of excellence in education and research since its establishment. To mark this milestone, UCD planning has been undertaking a year-long programme of events themed as Planning Futures. The next event takes place on Thursday, May 25th commencing at 4.30pm in the Planning and Environmental Policy Building, UCD Richview (access via Clonskeagh Road). UCD Assistant Professor and Director of the MRUP programme Dr. Paula Russell will open this event. ​All events in this series are free and open to the public. ​Please use public transport as parking is limited in UCD Richview. This series is being co-hosted by Dr. Eoin O'Neill and Eco-Heath UCD team member Dr. Mick Lennon. 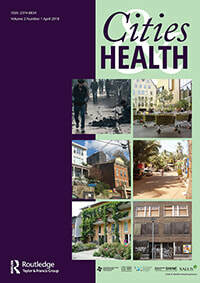 A vast literature exploring environmental influences on human health and well-being has provided renewed interest in connecting planning for the built environment with health initiatives. In response, planners and urban designers have been tasked with translating this knowledge into spatial planning and design schemes.​ Authored by Eco-Health UCD team members Dr Mick Lennon, Dr Owen Douglas and Professor Mark Scott, Urban green space for health and well-being: developing an ‘affordances’ framework for planning and design responds to an identified need for a conceptually-informed framework for green space planning and design for health and well-being. The notion of an ‘affordances star’ is proposed as a means to maximise the functionality and inclusivity of green space for health and well-being. The pre-proof accepted manuscript can be found here. Authored by Eco-Health UCD team members Dr Owen Douglas, Dr Mick Lennon and Professor Mark Scott, Green space benefits for health and well-being: A life-course approach for urban planning, design and management collates and reviews the evidence linking health, well-being and green space using a life-course approach. Based on the evidence, cohort-specific and cross-cutting design interventions are identified and a general integrated green space framework for health and well-being is proposed. 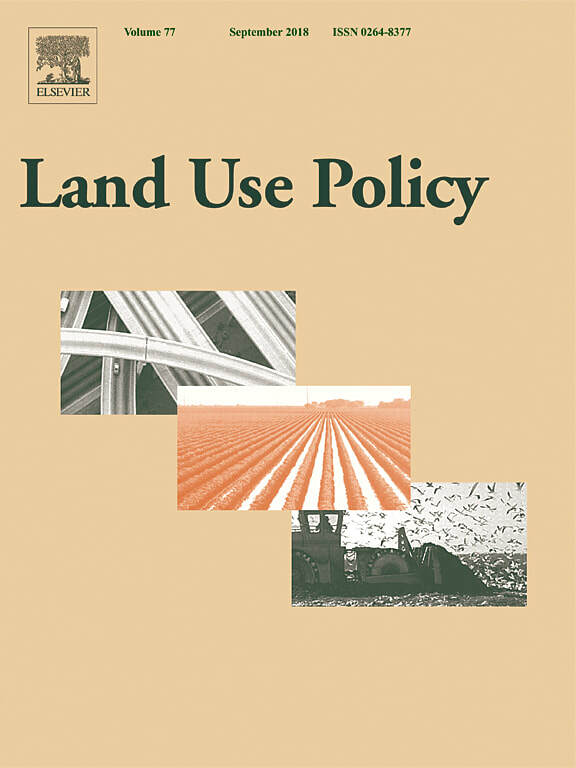 This analytical lens facilitates distillation of a vast quantum of research and the formulation of specific planning and design guidance for the provision of more inclusive green spaces that respond to the varying needs of people across all life-course stages. The author version of the manuscript can be found here. Dr Owen Douglas of Eco-Health UCD and Dr Ronan Foley, PI of the newly commenced green-blue space project at Maynooth University, will convene a themed session titled 'Healthy Natures' at the 49th Conference of Irish Geographers (CIG). Addressing the theme of ‘Disruptions and Transgressions’, CIG 2017 will take place from Thursday 4th of May to Saturday 6th of May 2017 in the Department of Geography at University College Cork (UCC). With a view to exploring the shifting borders, boundaries and edges that represent phenomena and notions of disruption, researchers engaged in cross-, inter-, and trans-disciplinary endeavours are invited to participate. ​• Transgressive health behaviours in place. For further information about themed sessions please click here. To register for CIG 2017 please click here. For further information regarding the 'Healthy Natures' session please email Owen Douglas (owen.douglas@ucd.ie) or Ronan Foley ( ronan.foley@nuim.ie). 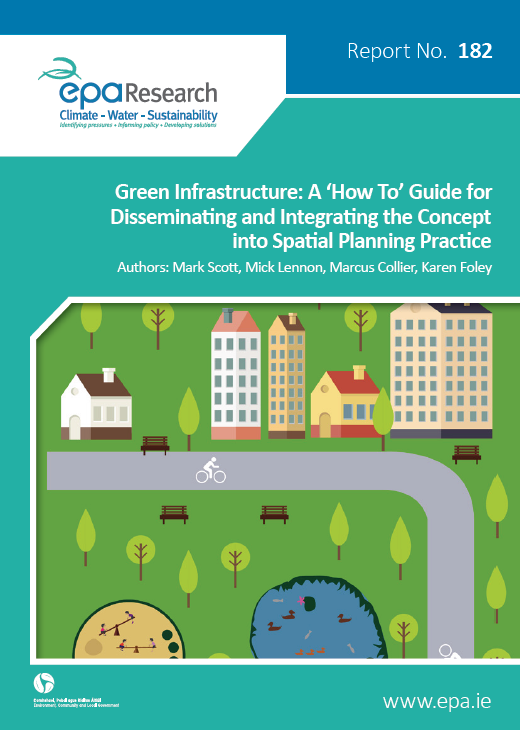 The EPA has launched 2 publications from the APEP Eco-Plan team (Prof Mark Scott, Dr Mick Lennon, Dr Karen Foley and Dr Marcus Collier) following an 18 month research project investigating the potential for integrating an ecosystem approach into spatial planning. This project is the precurser to Eco-Health. The first publication is the full technical report, ‘Integrating Ecosystem Approaches, Green Infrastructure and Spatial Planning’, which examines the ecosystem services concept and how it relates to spatial planning through green infrastructure planning and enhancing, restoring, and creating ecological assets to address climate change adaptation, flood risk management and to maximize biodiversity gains through the planning system. The second publication, Green Infrastructure: A ‘How To’ Guide for Disseminating and Integrating the Concept into Spatial Planning Practice, provides guidelines for local authorities for applying a novel, interactive planning methodology to enhance green infrastructure provision within local spatial plans. The reports can be downloaded here.